On the 8th October of 2016, at the Institute of Education, University of Minho, the first Portuguese multiplier event took place. 10 teachers of different areas and in different stages of professional careers participated and supported our action. 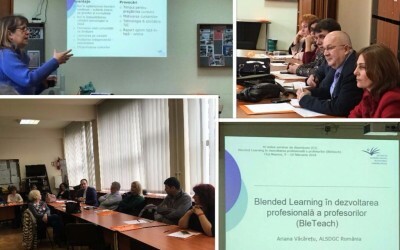 The main goal of the event was to present the BleTeach Project to participants as well as to discuss the structure and content of the blended learning course on content area literacy to be implemented in Portugal. During the workshop, participants worked with our two first Intellectual Outputs with particular emphasis on Concepts and Course Materials about Content Area Literacy Training for Secondary Teachers. The participants evaluated the activity as an important input for their daily practices. 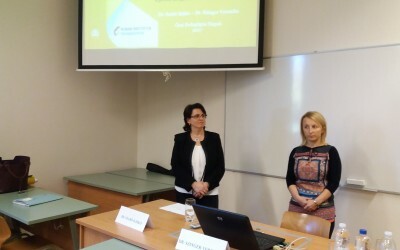 Furthermore, they highlighted the relevance of the project for teachers’ professional development. How do you find the aforementioned recommendations? 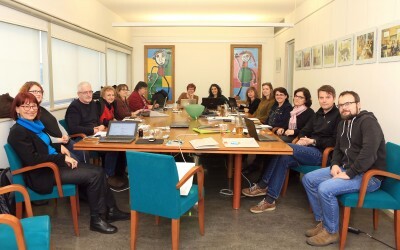 Do you happen to have expertise in Blended Learning courses? Then write us and give us your suggestions!